‘Irrlicht’ or ‘Moonlight’ is a very good creamy-white flowered hybrid. The dark emerald green leaves contrast superbly with the flowers. 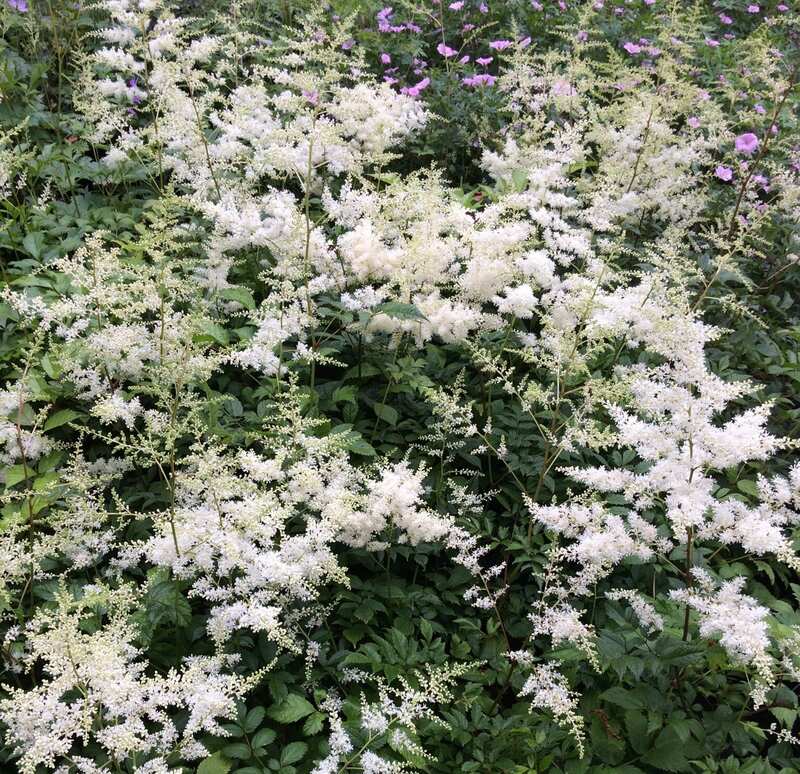 Earlier into flower than some other Astilbe hybrids and shorter in habit. It is an easy plant to grow in moist soil and part shade or a waterside plant complementing our native Meadowsweet Filipendula ulmaria. Pot size 2 litre. Cut back all foliage to the ground in spring. Propagate by careful division. If cut back after the initial flush of flowers has finished they will often put on another display in autumn.